After his final examinations last month, undergraduate Andy Chow Kok Haw took a three-week-long holiday in Europe with four friends to mark their impending graduation. 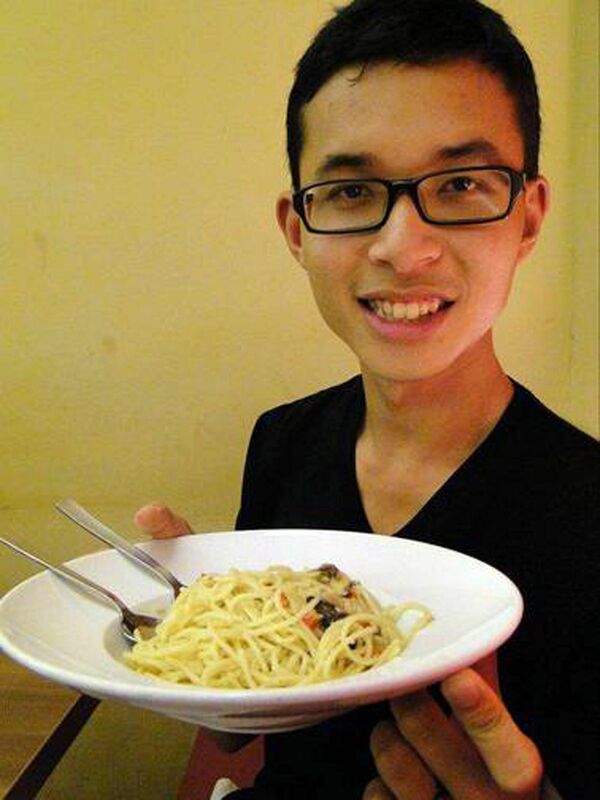 But on May 25, the 25-year-old National University of Singapore (NUS) student drowned while swimming in Croatia. It was the fourth-year pharmacy student's last leg of the trip before returning home. He was due to graduate from NUS next month. He had been swimming at a waterfall at Krka National Park, a few kilometres north-east of the city of Sibenik, when the accident occurred. Sibenik is located in the Croatian historic region of Dalmatia, where the river Krka flows into the Adriatic Sea. Although earlier reports claimed he had an accident while white-water rafting, his family said he had actually been swimming. His father, Mr Victor Chow, 55, told The Straits Times yesterday that his son had been swimming at a deep part of the waterfall with his friends, though they were some distance away. "Nobody knew it was that deep. There were people swimming around as well, said the 55-year-old engineer. "But when his friends noticed that he was missing, it was already too late." Mr Chow's friends were unable to find him. They alerted the authorities and divers had to be summoned to retrieve his body. The Straits Times understands that the friends - three women and a man - were his pharmacy coursemates. 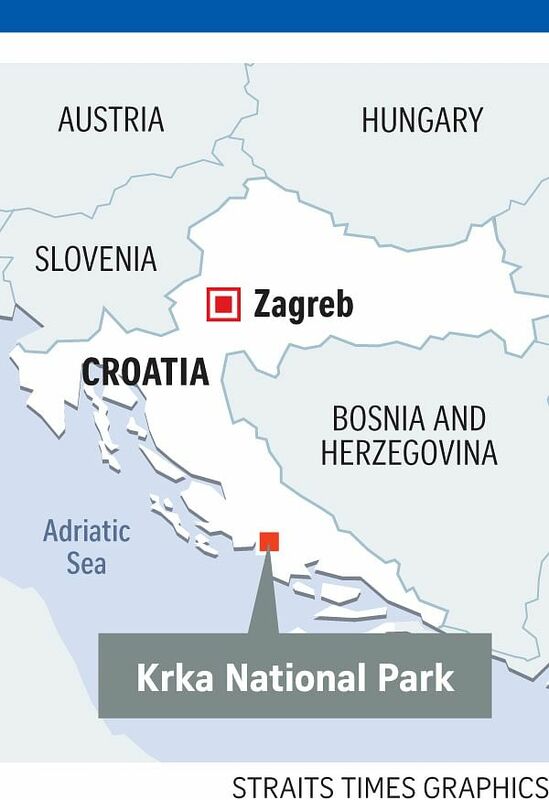 Though Mr Chow had been to Europe before, often opting to backpack, it was his first visit to the Eastern European country of Croatia, said his father, adding that his son was a capable swimmer. He said Mr Chow had also learnt swimming "on and off" before and during his time in national service. His family has accepted that it was an accident. "Sometimes when you're swimming, anything can happen. You can't predict it," his father said. "It's a very hard period for us now." Friends and schoolmates were shocked when they heard the news on Tuesday, as condolences poured in on Mr Chow's Facebook page. Many described him as a friendly and approachable person who had a ready smile for others. "I remember him as a genuinely good guy, who was extremely patient, friendly and always smiling," said NUS undergraduate Chan Jun Hao, 25, who was in the same unit as Mr Chow during national service. A pharmacy coursemate, who declined to be named, said: "He was well liked by peers. We used to play sports during our break sometimes." An adventure buff, Mr Chow was a member of the NUS Rovers, an outdoor and adventure interest group. He had been the group's treasurer. The former Hwa Chong Institution student was a recipient of the MOH Holdings Health Science and Nursing Scholarship in 2012. A statement from Hwa Chong Institution said Mr Chow was an "outstanding student and a disciplined young man... (who) got along very well with his peers and teachers". A Ministry of Health spokesman said it was deeply saddened by his death and is "in touch with the family and will provide the necessary assistance during this difficult time". Mr Chow's body is expected to arrive in Singapore tomorrow.